Brittany is a certified personal trainer through the American Academy of Sports Medicine (ACSM), a certified cycling instructor and silver sneakers instructor, and a certified level 1 Precision Nutrition Coach. She received her Bachelors in Fitness and Nutrition from Oregon State University in 2013. 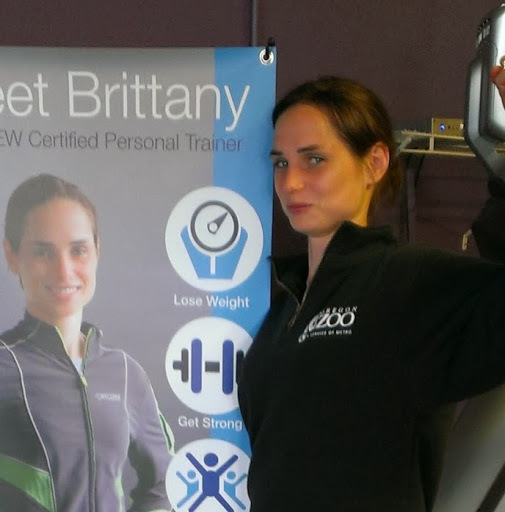 Brittany's commitment to her own fitness endeavors has translated into her dedication to help clients succeed. She has worked with a wide range of clients from cardiac rehab and chiropractic patients to moms looking to improve their quality of life. She specializes in middle-age to senior populations but also enjoys working with younger clients as well. Brittany believes reaching our fitness goals changes all areas of our lives. "Movement is change. Change is life. Movement changes life." When Brittany is not in the gym she enjoys taking her dog Karli to the dog park, playing disc golf, trail runs, and is currently training for an olympic triathlon.